This article demonstrates how to integrate an Azure's SQL Database and display the data using the RadDataGrid. You can set up the sample database by following the Create an Azure SQL database in the Azure portal step-by-step guide. 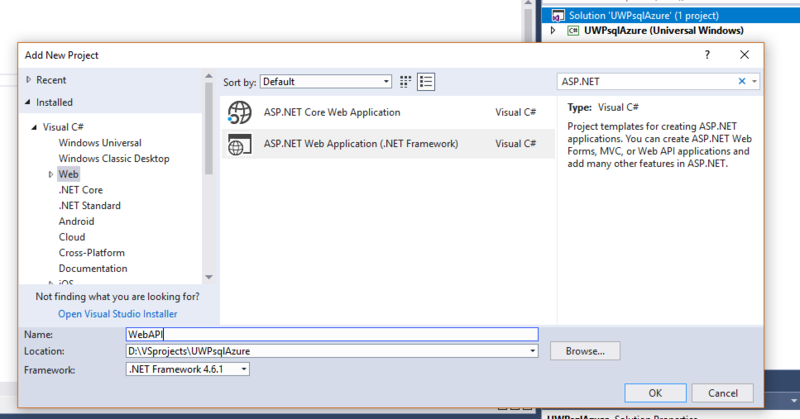 We are going to use a ASP.NET Web API project in combination with our UWP project. 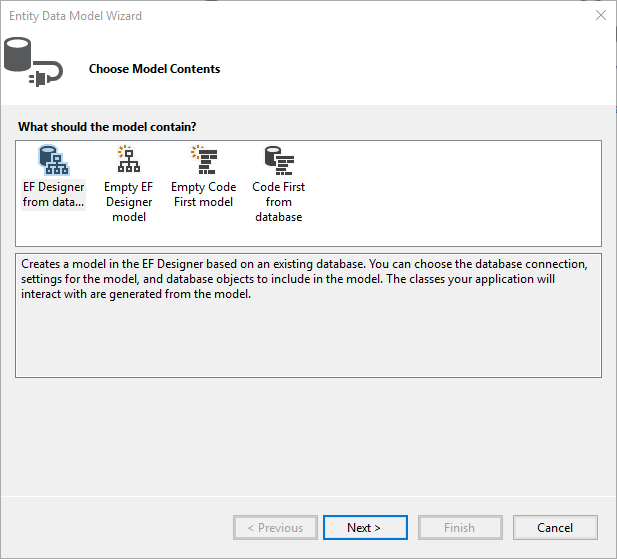 In the web application, through EntityFramework's built-in functionalities we are going to connect to the Azure SQL Database and create our models. 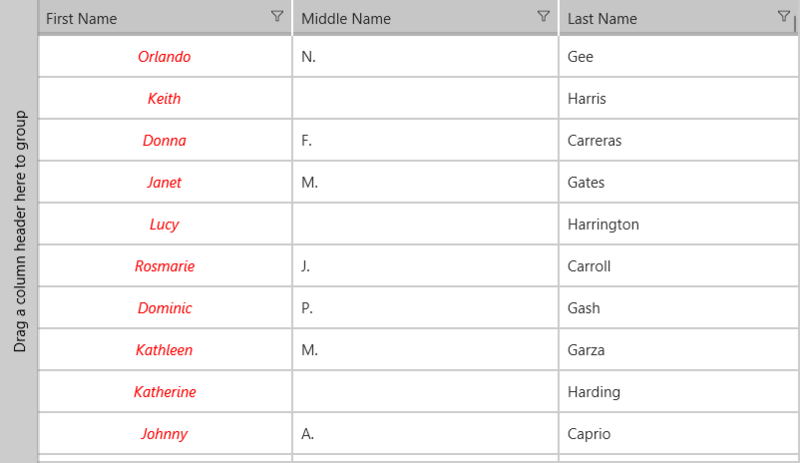 Eventually, we are going to expose a specific table and consume it by making a REST request within our UWP application. 3. If you want, you can set up your SQL Server Management Studio so that it connects to the Azure database as well. 1. 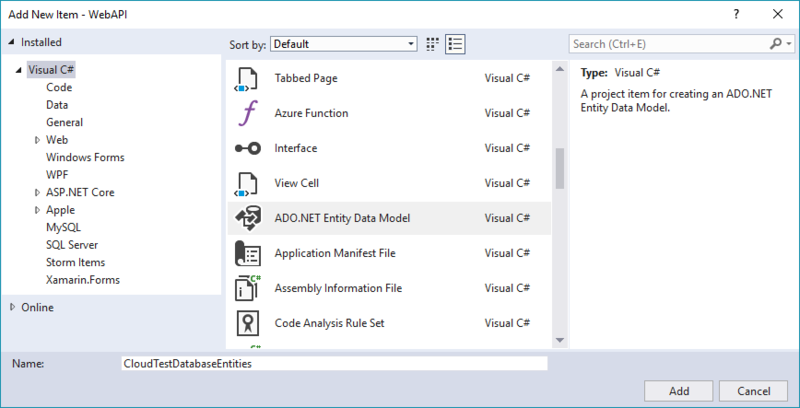 Add a new item to your WEB Api project and choose ADO.NET Entity Data Model from the list of available items. 2. Give it a suitable name and click Add. We are going to use CloudTestDatabaseEntities for the test sample. 3. 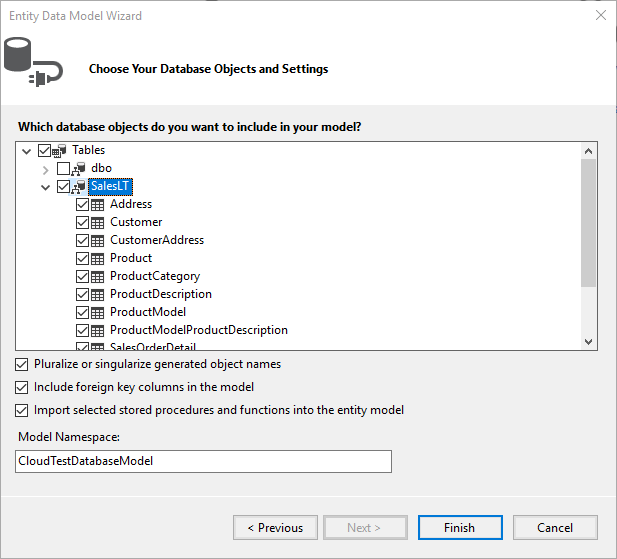 Choose EF Designer from database from the Choose Model Contents dialog. 4. Click on New Connection... and input the server name and credentials which you can obtain from the Azure portal. 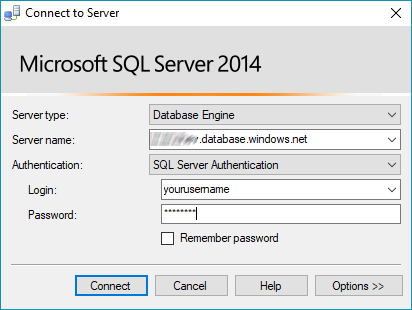 Choose the SQL Server Authentication option to log on to the server. 5. Choose whether or not to include the sensitive data in the connection string, choose a name for it and click Next. 6. Pick the database object you wish to include and click Finish. You are now able to work with the entities you have chosen through the created DbContext - CloudTestDatabaseEntities in our case. 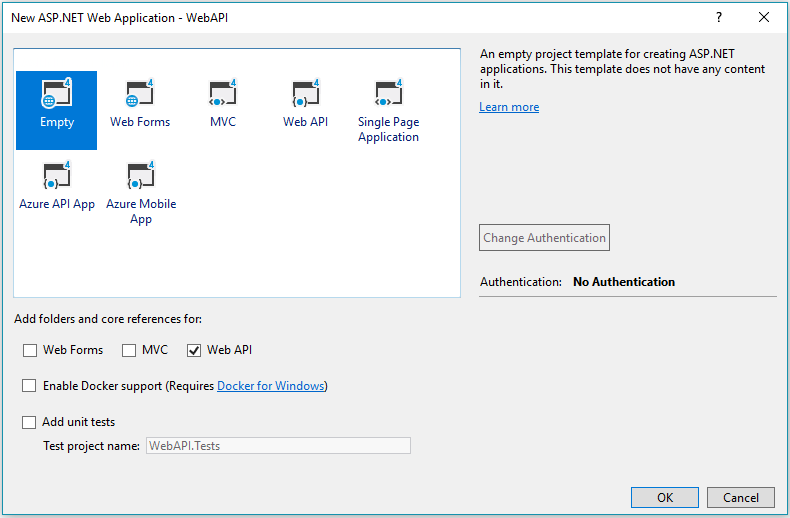 You can now get this information through querying the server on which the web application is deployed. For the purposes of this example, the application is hosted locally. We are going to use the HttpClient class from the System.Net.Http namespace in order make our HTTP query and consume the data. You can create a class that will hold static information such as the server address, username and password if required, etc.